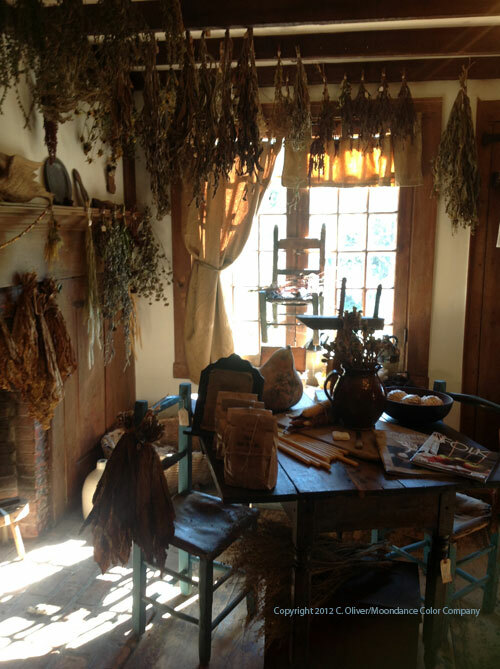 A few weeks ago we paid a visit to Walker Homestead, a local primitives place featuring locally grown, natural decorations, antiques and the like in an 1698 house in Brookfield, MA. 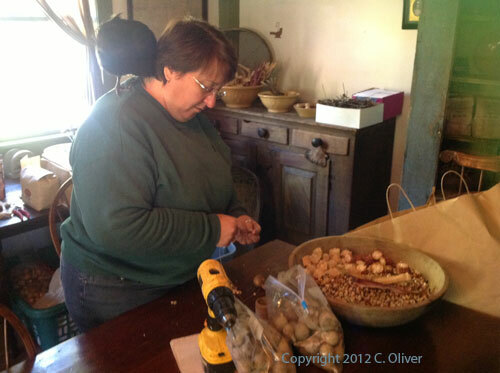 Kris and Paul Casucci are the proprietors and have the able Celeste as helper extraordinaire. 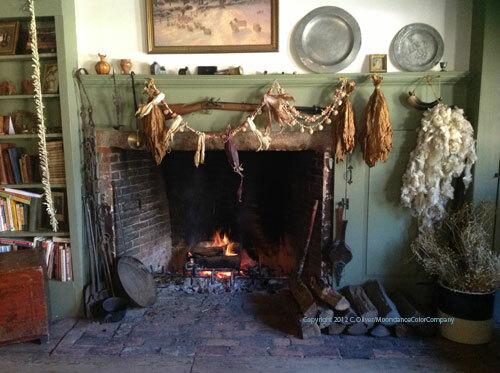 The weekend of November 16 through 18, 2012 is their annual New England Christmas by the Hearthside and you are kindly invited to visit. 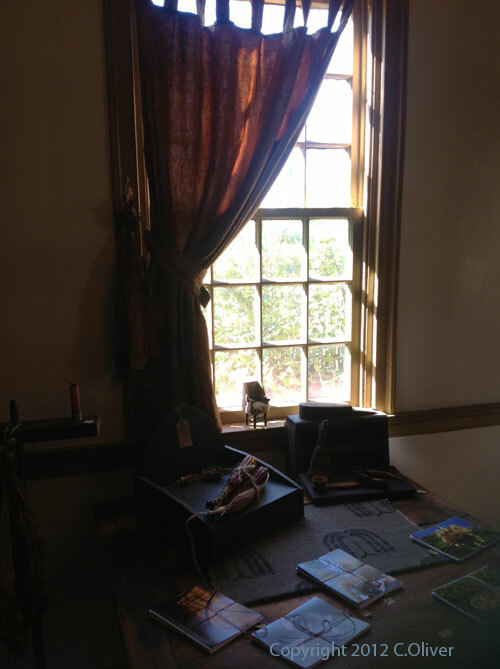 We thought you'd like a preview in the way of some pictures from my October visit. Please check their website for more information. Yes, that's a chicken on her shoulder. Miss Chickie, to be exact. Ask them about her if you visit. 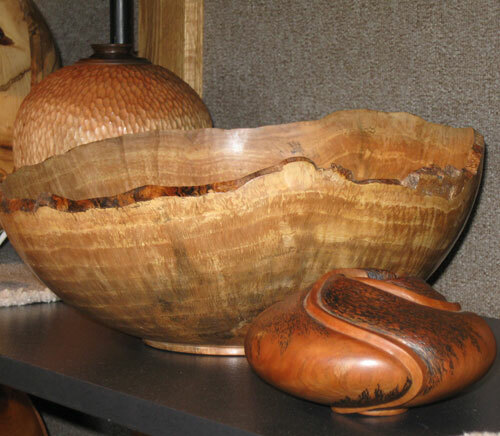 Frank White of Hollowoods crafted these unique wooden bowls in his workshop. 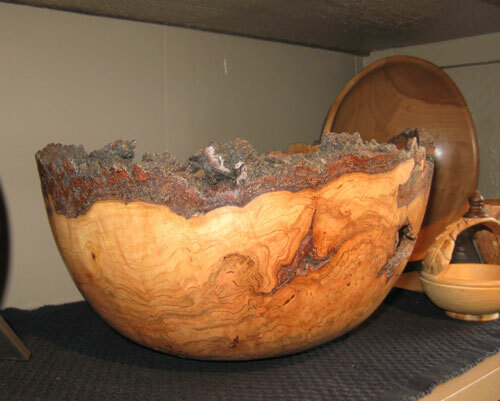 He gave visitors a demo of just how he takes a block of wood from shapeless blob to lovely and useful form. 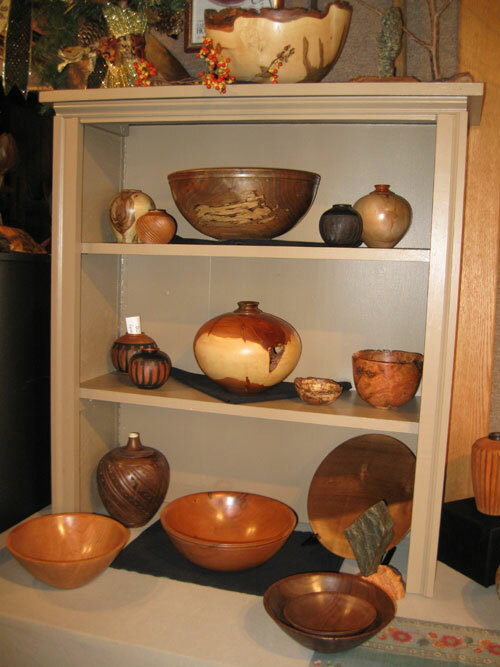 Shown are a few examples of his work. 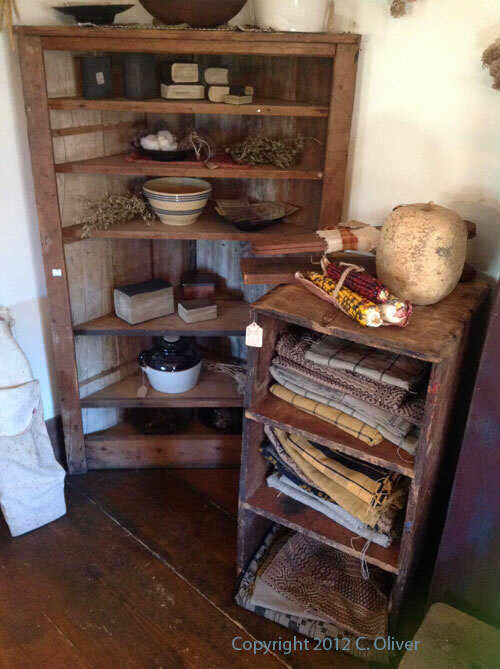 Hollowoods is at 26 Cottage St., in West Brookfield, MA. 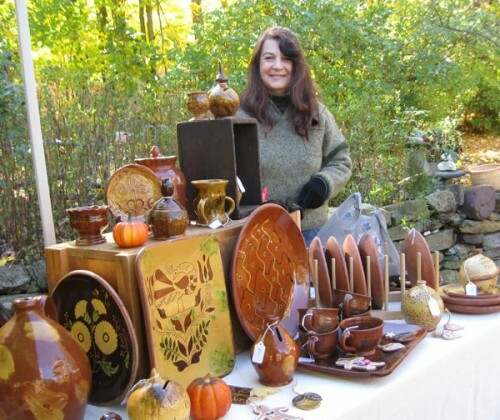 Autumn is a busy time of year for craftspeople here in New England. 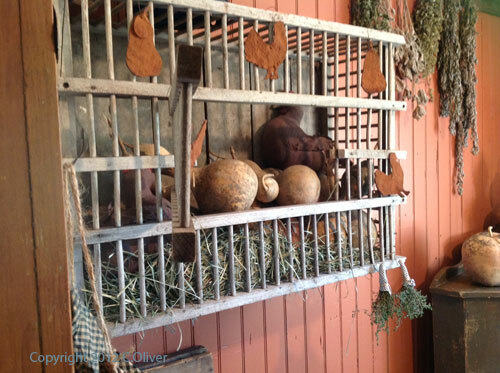 One of the highly anticipated local events is the Backroads Studio Tour. 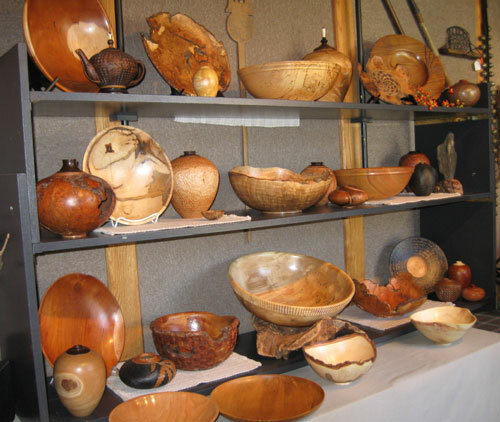 The public is welcome into many area studios to see how the artisans work and to view a sampling of their crafts. 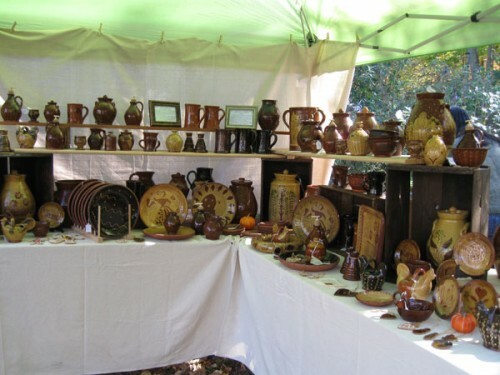 The public also has the opportunity to purchase directly from the artisans. It's a win-win situation. This year's tour was blessed with gorgeous weather on Saturday. 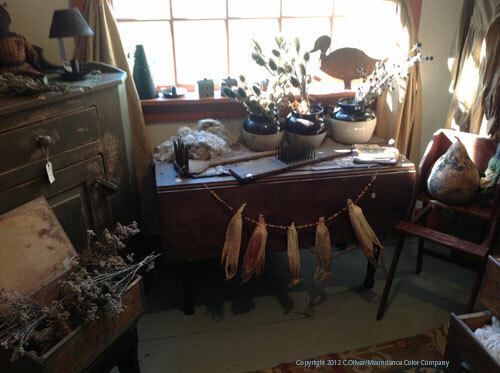 I took some pictures to share with you over the next few days. 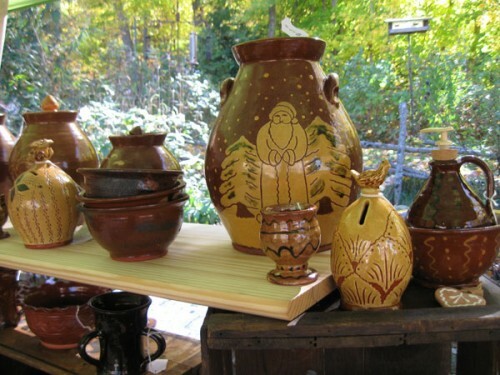 Today's are of Garine Arakelian of Kulina Folk Art/Pied Potter Hamelin. 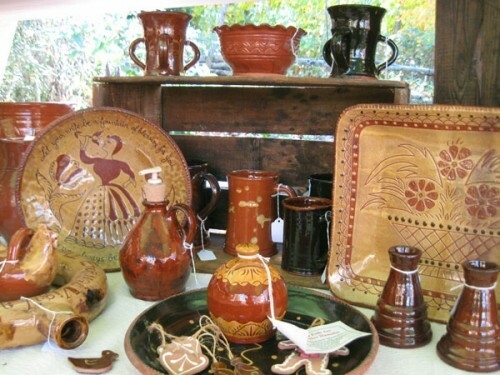 Garine and her husband Rick Hamelin make traditional American redware pottery, all either hand-thrown or drape-molded. All glazes are lead-free and suitable for the dinner table. 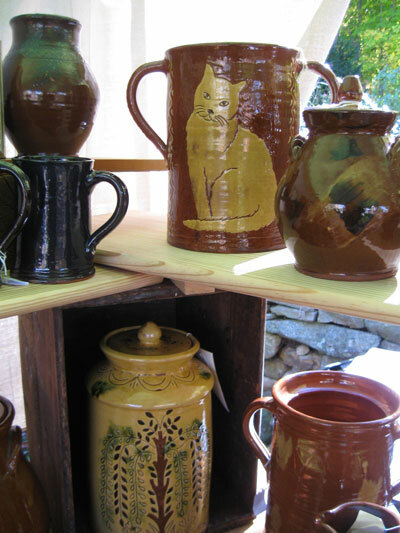 You can read more about Garine and Rick and their pottery on their website, www.americanredware.com .